Ocean View SUITE in the heart of the KEYS , STAY LONGER, SAVE MORE!! 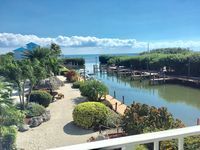 Property 13: Ocean View SUITE in the heart of the KEYS , STAY LONGER, SAVE MORE!! LUXURIOUS COASTLINE CONDO+POOL&BEACH+CLOSE TO DIVE/SNORKEL BOATS! Property 15: LUXURIOUS COASTLINE CONDO+POOL&BEACH+CLOSE TO DIVE/SNORKEL BOATS! Property 18: Ocean Front, Newly Renovated. Marina, New Pool/Hot Tub and Private Beach. Newly Renovated! Relax & Explore The Keys In Comfort. We Make It Simple. Property 20: Newly Renovated! Relax & Explore The Keys In Comfort. We Make It Simple. Beautiful Hammock Beach House Among the Best! Property 21: Beautiful Hammock Beach House Among the Best! Top floor unit, new renovation completed April 2018!! Property 22: Top floor unit, new renovation completed April 2018!! Property 23: Ocean Pointe Suites Official-2/2 Fully Equipped Suite with Resort Amenities! Summer Fun Awaits! Clean and Cozy w TOP FLOOR VIEWS...Your Home Away From Home! Property 29: Summer Fun Awaits! Clean and Cozy w TOP FLOOR VIEWS...Your Home Away From Home! Licensed Manager W/10 Rentals Available - 2/2 Suite - OCEANFRONT BEACH RESORT! Property 32: Licensed Manager W/10 Rentals Available - 2/2 Suite - OCEANFRONT BEACH RESORT! Affordable Ocean Pointe Suites of Key Largo !! 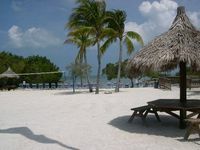 Property 35: Affordable Ocean Pointe Suites of Key Largo !! Oceanfront condo w/beach access, shared tennis, pool, etc. - marina available! Property 36: Oceanfront condo w/beach access, shared tennis, pool, etc. - marina available! Ocean View Luxury Completely Renovated home on the water! Property 39: Ocean View Luxury Completely Renovated home on the water! Secure Your Summer Spot! Oceanfront Condo W/ Ocean Views. Property 41: Secure Your Summer Spot! Oceanfront Condo W/ Ocean Views. Newly Renovated Ocean View 2br / 2 Bath Suite. Full Kitchen and Washer/Dryer. Property 47: Newly Renovated Ocean View 2br / 2 Bath Suite. Full Kitchen and Washer/Dryer. Property 48: Stay On-board a 42 Ft. Sail Boat in the Keys near Key Largo. 3rd time in paradise , and will keep coming. This apartment was cozy, clean, spacious and comfortable. My husband, myself and a good friend were traveling, and it was nice that our friend could have her own bedroom and bathroom. The pool was great, and the beach, though small, was adequate.